Mr George Mundackel, a professional content developer and freelance cyber security consultant visited our school to talk to our MYP 4 & 5 students about news/media literacy. 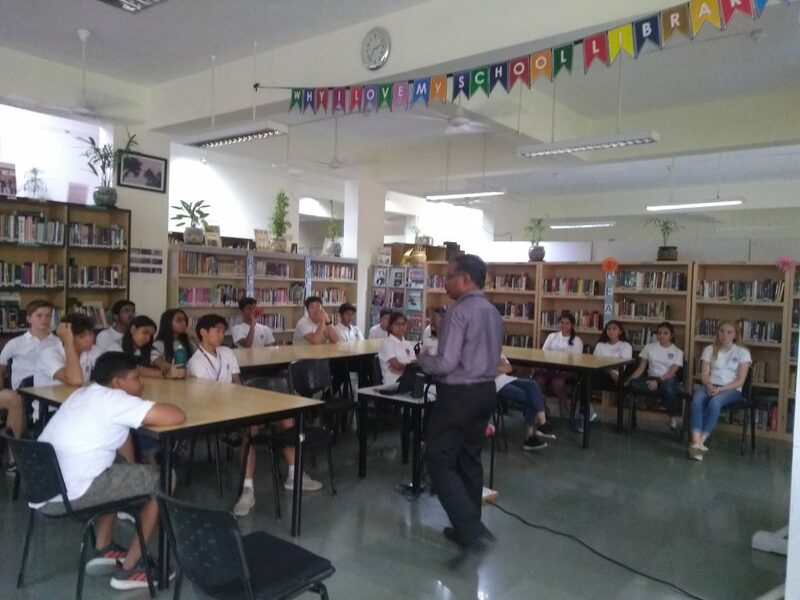 During his session he discussed various topics like, why is media literacy the need of the hour, how to develop skills of questioning and self expression, fake news and how to detect fake news. The session was interactive and included fake videos, fake pictures and fake text messages. He showed students how to check whether the text messages or images or videos are fake or real. Mr George connected media literacy with career options which is one of the Core modules. He discussed with students how Cybersecurity can be the career option opportunity. Students were very vocal when the social media was discussed at length. He throughout the lecture constantly warned them to use social media carefully and wisely. It was a good session where students shared their experiences on social media.